Sati. In Buddhism, it means something like “remembering to remember.” But what new mama can remember much of anything? Let alone that she should be taking time for herself? A few months after I gave birth to my second child and returned to work after my maternity leave, I was overwhelmed. In a dark place. And felt like I didn’t have a single spare moment in my day. I committed to doing things I knew from experience would improve my state of mind – like setting a daily intention, focusing on gratitude, or meditating. But you know what happened? I would simply forget to do these things. In the rush of getting kids to daycare, meeting work deadlines, and trying to keep a house running, everything was such a blur, that I just couldn’t seem to remember that I was planning to use the time I was showering to set an intention. I’d fall asleep before I could write in my gratitude journal. And the thought of meditating seemed like a fantasy. Taking 5 Minutes for Me on the Way to Work. I ride the metro and have about a 10 minute walk from the metro station to my office. On the way to work, I take a 5-minute pause just for me, 2-3 days a week. 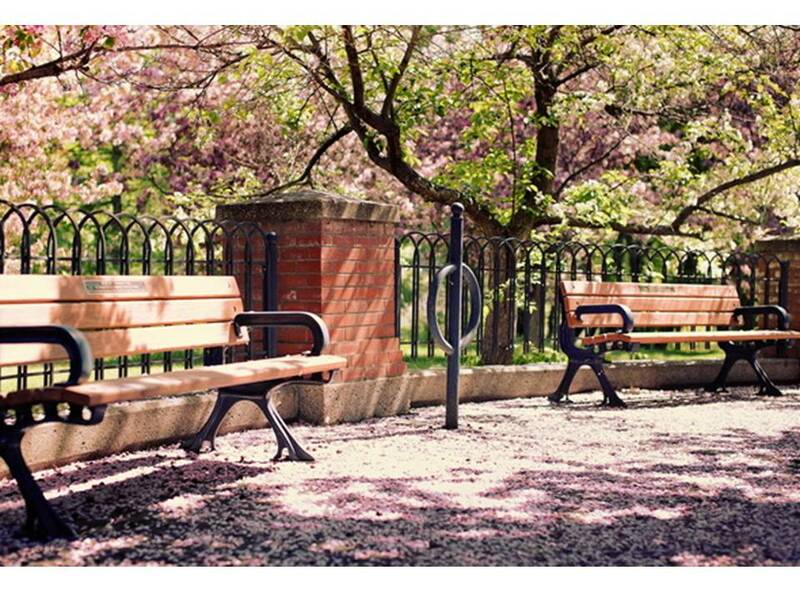 Depending on the weather, I either sit outside on a park bench near a fountain or go into a hotel lobby, and I turn on Insight Timer, a fantastic meditation app that has meditation bells, guided meditations, and even stats to keep you honest. After even just 5 minutes, my head is in a much better place to start my workday. Use Your Computer Password as a Reminder. I decided to make my computer login not just a combination of random numbers and letters but to make it mean something by including a word that encourages me to calm down. (While still maintaining the appropriate level of security, of course!) Think about a word or phrase that helps you remember to breathe and be present, and incorporate it into your password. (2) Acronyms: I solved my forgetting-to-set-an-intention-in-the-shower problem by creating the acronym ISS, which of course looks like IS, a form of “to be”, and stands for: Intention, Stretch, and Savor. So now, 9 times out of 10, when I’m taking a shower, I remember to set an intention for the day, do a few yoga stretches, and savor the hot water running over me. Who knew you could mindfully multi-task while showering? My day gets off to a much better start now that I’ve used this acronym to create a habit. What habits can you build into your day to remind you to come into the present moment? What acronyms can provide you the mental shortcut you may need to focus on calm? It IS possible to take time for yourself, mama. You just need to do it in little, micro bites. Note: This post was first published on July 7, 2015, on the East Side Yoga Mamas Blog. I am grateful to Alia Khan for permitting me to be a guest author on her site! 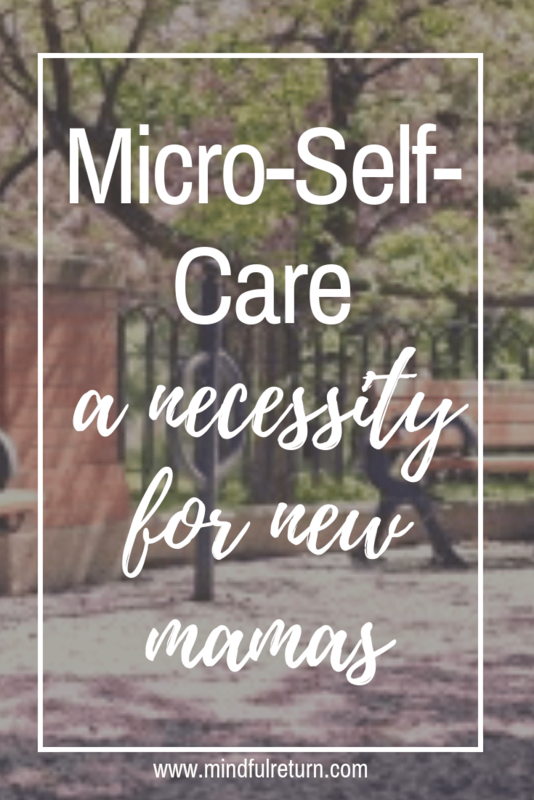 Want more help figuring out how to fit self-care into a busy new working mom schedule? Join the Mindful Return E-Course, a 4-week curriculum and peer mentoring community.